I wanted to find out exactly what these questions involve. And how difficult they are to answer. 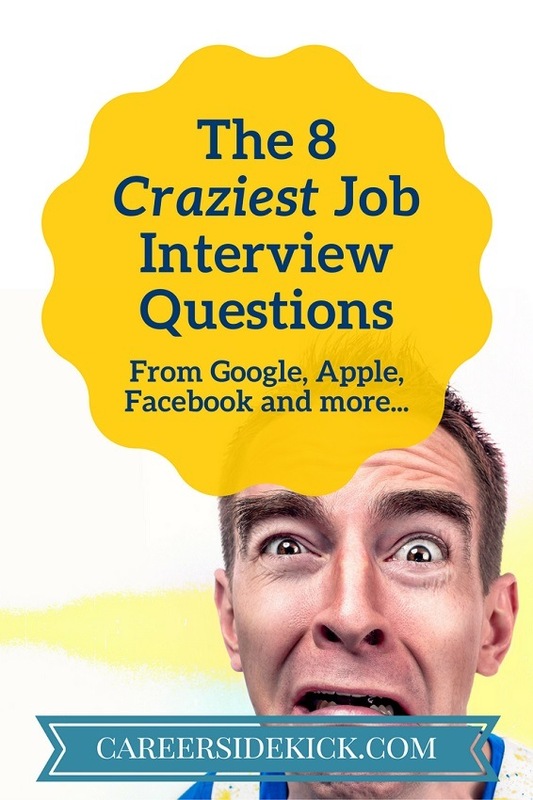 I spent a day on Glassdoor.com and a few other sites to come up with the 8 hardest and most interesting interview questions out there. Time to see how many you can answer! The key hint here is that the bullets were loaded adjacent to each other. But if you respin… there are 2 bullets remaining and 6 total slots. 2/6 or 33%. You only need 1 of your friends to be telling the truth for it to be raining in Seattle. It’s fastest just to calculate the odds that all 3 are lying, and it’s not raining. Each friend has a 1/3 chance of lying. Multiply the odds together… you get 1/27 (1/3 * 1/3 * 1/3). We’re not done yet though… 1/27 is the probability that all 3 friends lied at the same time. The probability that at least 1 told you the truth? 26/27 or around a 96% that it’s raining in Seattle. You have a 3 gallon jug and 5 gallon jug, how do you measure out exactly 4 gallons? We know we can’t get the final result in the 3 gallon jug. It’ll overflow. We need to end up with 4 gallons in the 5 gallon jug. First fill the 3 gallon jug. Then pour the 3 gallons into the 5 gallon jug. Now the 3 gallon jug is empty, and the 5 gallon jug has 3 gallons in it. Fill the 3 gallon jug again. Slowly pour into the 5 gallon jug. Only 2 gallons will fit because it already has 3. Now it’s full. Exactly 1 gallon is left in the 3 gallon jug. Dump out the 5 gallon jug. Pour your 1 gallon into the 5 gallon jug. Good news: If you’re tired of math questions this one will give you a break. Manhole covers are round because it’s the only shape that cannot fall through itself. The cover can never accidentally fall down the hole. Microsoft has been known to ask this question and according to Glassdoor.com, Google is asking this too now. So, you know all 3 boxes are incorrectly labeled. Go to the box labeled “Apples + Oranges.” Since the label is wrong, it must have one or the other. This is the box to take one piece of fruit from. Whichever comes out is what that box contains. If you took out an apple, the box has only apples. If you took out an orange, vice versa. Let’s say you grabbed an apple. Move the “Apples” label over to that box. Now it’s correctly labeled. You know the “Oranges” box is still labeled wrong (because all 3 were labeled wrong to start and you haven’t touched it). And you know it’s not “Apples”. So it has to be “Apples + Oranges”. The last box is “Oranges”. The same process above would work if you had pulled out an orange at the start. You have a 100 coins laying flat on a table, each with a head side and a tail side. 10 of them are heads up, 90 are tails up. You can’t feel, see or in any other way find out which 10 are heads up. Your goal: split the coins into two piles so there are the same number of heads-up coins in each pile. By pure coincidence… this is a trick my friend Mike showed me last summer. It blew my mind back then but hopefully it’ll make sense as I write it out. You want equal number of heads in each pile. There are currently 10 of them. You don’t know which but it doesn’t matter. All you have to do… take any 10 coins out of the 100, put them into a separate pile, and flip those 10 over. Pile #2 is the remaining 90 coins, unflipped. Just leave them. You can do this with any number of coins. If you had 20 coins, and 18 were heads, you’d need to take 18 of them (it doesn’t matter which) into a separate pile and flip those 18. That’s pile #1. If you had 10 coins and 3 were heads, you’d take 3 random coins into a new pile and flip those 3 for your first pile, and the rest are your second pile. If you don’t believe me just grab some pennies and try it. There are no exceptions and it doesn’t need to be an even amount of “heads” to begin with either. It can also be zero. Or all. Let’s call the switches 1, 2, and 3. Turn switch 2 on for ten minutes. Now turn it off and quickly turn on switch 3. The bulb that is still warm but not lit up is controlled by switch 2. The one that’s currently lit up is switch 3. The last one is switch 1. How many golf balls would fit into a Boeing 747? This last one is tough, but they don’t expect you to get an accurate answer. If you get a question like this (and there are a ton of variations- basketballs in a room, cellphones in Manhattan, etc.) they want to see your thought process. The hiring manager is going to look at how you work your way through it and attempt to figure it out. If you can break a problem down into smaller pieces, stay calm, and get an answer that’s not perfect but reasonably close, you’ve done great. They might not even know the answer. They just want to see how you approach something that’s very difficult. Note: For 5 other major things every hiring manager wants to see, check out this article. On a Practical Note, What Can You Take Away From This? 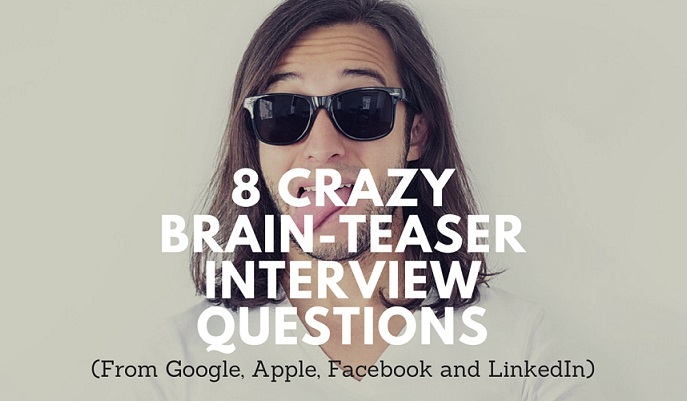 There are a lot of questions in an interview where the hiring manager values your thought process. Sometimes more than a correct answer. If you’re stumped, talk out loud a bit and explain what you’re thinking. Ask a question if you need to. Try to break it down into smaller pieces. Specific knowledge can be taught but they can’t teach you problem-solving. Show them this and you have a great shot at getting hired! I talk a lot about how to do this and why it’s important in my job interview answers guide. Here’s a quick story: My degree is in Finance, which means I took a good amount of Accounting classes too. Early in my career I had a phone interview for an Accounting position. To make the story short, I could not answer even the most basic accounting questions. Really simple stuff that you learn your first year in college. It had just been too long since college and I had forgotten even the basics. And I didn’t prepare well for the interview obviously! I made some progress. But I definitely didn’t have the right answer, even after 5 minutes grinding through it outloud. But I got invited to come in and do a full day on-site interview the next day. The hiring manager liked my approach to breaking down a problem that I didn’t immediately know how to solve. That’s why being transparent and showing your thought process is one of the tips for interviews that you’ll see me say over and over. You can learn to do the same and get far more job offers. The big takeaway: Don’t panic when you get a question you don’t know… use it as an opportunity to show exactly how you work through things. Be confident with it, relax, smile. Remember… you’re giving the hiring manager what they want!